Nice! I was just thinking about something like this, will be picking this up for sure! May nice for a desk where you can plug in a lamp, speakers or etc. Be nice to have a wall mount. Need to see review and ratings to see what would be the best use of it. It probably may be more of a charging port for me than power cord. This thing looks amazing! To be able to stick it anywhere with the adhesives is a smart idea. I always like smart new ways to charge my many devices. Nice design. I would defiantly by one. Would work great on my desk! Does anyone have pictures of it with devices plugged into it? I’m guessing it doesn’t lay as flat when things are plugged in. Nice addition to the Anker line. Good take on the traditional extension cord. I like this! Not too long ago I bought a power "tower" that stands upright and has USB chargers. Wish I hadn't had to purchase a different brand because I much prefer Anker. Will there be any UK variant?? An excellent release. I've been comparing similar products by other companies recently, but could drop those options for an equivalent product from Anker. Is a UK plug version available? Also, can the plug be wall-mounted? I've seen a similar product out there with plastic bracket that can be wall-mounted with an adhesive strip, then the cube can be attached, removed and reattached easily. This is a useful feature. I'm a big fan of Anker, but I hate that in very few products the input ratings are specified. One would asume that this extension works for travel, but how can I confirm it ? I notice you already use a 3 pin plug, so will easily be available for UK n Europe. Put it in power user... Or at least something! I actually have this Powercube and it is very handy to have. Looking forward to using Anker's version of it with its faster USB charging. Yeah, it's a real bummer. I wish there were three USB-C ports instead of three USB-A ports, and I wish the max output was 45W instead of 18W. Would have made this thing way better! Yes, it would have decreased the portability of this device slightly, but still.... Oh, well. Maybe next time. 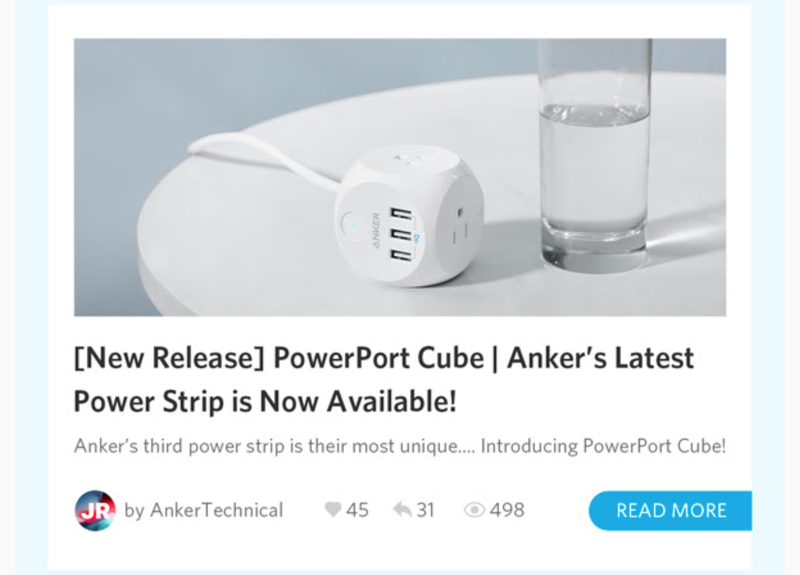 Thanks again @AnkerOfficial for including another one of my posts in the latest monthly Community Highlights email.... This time, the views have over quadrupled! It doesn't look like my username made it on there, though, or my latest logo.... Sorry for changing it so much! IMO, the best thing about this design - if there IS one best thing - is it solves the problem of strip-type designs where the outlets are too close together to fit larger plugs and those that sit at a 90° angle to the plug openings (like the AC adapters that are supplied with several medical devices I have). I think a drawstring carrying pouch would be a nice addition to this “package”; but that’s a personal preference, and I probably have one lying around somewhere that would accomodate this little SuperHero charging cube!